Posted September 21, 2015 by The Rapid & filed under News. We’re pleased to announce the launch of a faster, sleeker website. After seeking passenger feedback through an online survey earlier this year, we’ve revamped our website to make it more intuitive for riders. 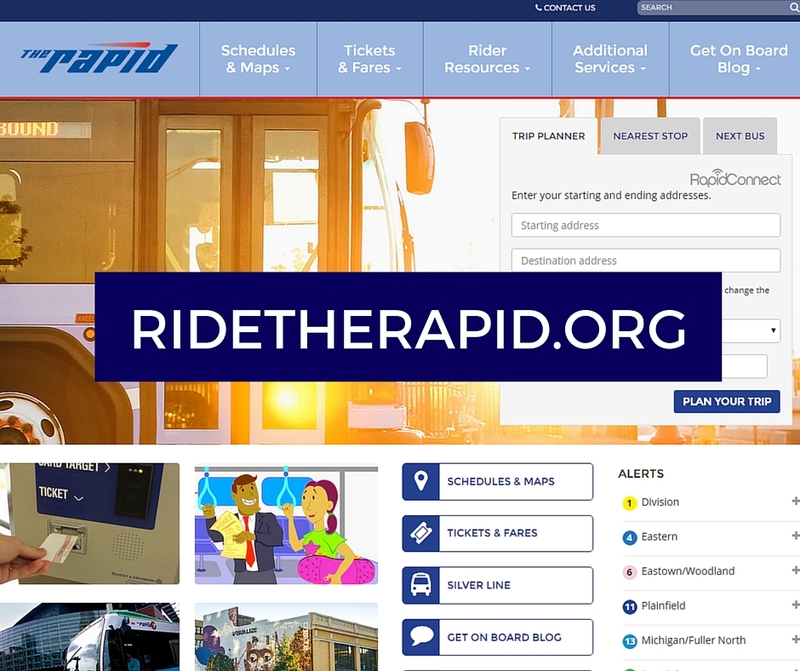 Our website, ridetherapid.org, is a hub for everything a Rapid passenger may need including real-time bus information, schedules, maps, rider resources, and much more. This update has established a sleeker and more organized approach to the vast resources located online for passengers and community members, alike. With a special focus on improving our rider tools, the new website features an improved RapidConnect Trip Planner, featuring input fields directly on the homepage to speed up the search process. Nearest Stop now allows for users to be sent to an entire page with its own unique URL to improve sharing and saving capabilities. Rider alerts are also more prominently displayed to ensure more ease in travel. There are many more upgrades that have been made to ensure the overall simplicity and ease of use. We invite you to take a look around www.ridetherapid.org and explore for yourself! Thank you to all of those that provided feedback throughout this process.